McFarlin, Robert John, Sr. Beloved husband, father, grandfather and uncle. Passed peacefully 9/24/17 at age 87 in Duluth, MN. Previously resided in St. Louis Park and Wayzata, MN, and Longboat Key, FL. Bob's wisdom, wit, compassion and never-ending love and support will be missed by his entire extended family. Preceded in death by wife of 59 years Alice-Jean "A.J. ", father Henry Francis, mother Dorothy (nee Chalmers), step-mother Dorothy (nee Little), sister Dorothy McCleary, brother-in-law Patrick McCleary, brother Henry McFarlin, and grandson Jeff Sepeda. Survived by children Charles (Cheryl), Nancy Diener (Tom), Robert Jr. (Kimberly), and Judith Murray (Simon); step-brother James Tolley (Mary), sister-in-law Maureen McFarlin; grandchildren Anna McFarlin (fiancé Patrick), John McFarlin (Emily), Sarah Diener (fiancé Thomas), Geordie Diener (fiancée Melissa), Emily Diener, Jacob McFarlin (Ashley), Megan Kufahl (Greg), James McFarlin, Nick Sepeda, Alex Tolley, and Maggie Tolley; nieces and nephews David McFarlin (Samantha Prince), Robin Triano (Joe), Michael McCleary (Lisa), Matthew McCleary (Heather), David Tolley, James Tolley, Jr., and Ned Tolley. Bob was born December 3, 1929, in Easton, PA, and spent his youth in Cincinnati, OH, and Pittsburgh, PA. Bob graduated from Withrow High School in Cincinnati, the University of Delaware (B.S. civil engineering), and the University of North Dakota (M.S. civil engineering), where he was also a member of the civil engineering faculty. Bob enjoyed a distinguished career as a bridge designer and advocate for the civil engineering profession, and his award-winning work is found in more than 250 street, highway, pedestrian, railroad and light rail bridges across 13 states. Bob played a lead role in the design of the I-35 extension through Duluth, and was awarded the national "Special Purpose" design award by the American Institute of Steel Construction for the Snake River Trail Bridge in Pine County, MN. Bob served in the firms Vogt Ivers, Bakke Kopp Ballou & McFarlin, and Parsons Brinkerhoff, and was the past president of the American Consulting Engineers Council of Minnesota (now ACEC/MN), Minnesota Good Roads and the Minnesota Transportation Alliance. In 1986 Bob received the ACEC/MN Lifetime Achievement Award. 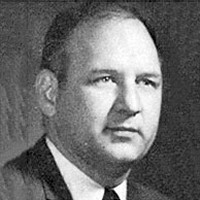 Bob was the first professional engineer elected to the MN Legislature, representing St. Louis Park from 1967-70 and 1973-74, and serving honorably on several committees, including Appropriations, Natural Resources, Highways and Labor Relations. Bob was the chief sponsor of legislation that saved the historic Landmark Center in St. Paul from demolition and helped secure federal funding for the building's renovations. Bob's close election victory in 1972 served as the catalyst for Minnesota's automatic recount law. In the work of politics and public policy, Bob was a believer in friendship, trust and bipartisan cooperation. From early years of campaign parades and pounding lawn signs, to later assisting in family career choices in government and academia, Bob instilled in his family the importance of civic knowledge and thoughtful engagement, regardless of ideology. He was sincere in his strong interest and pride in all that his children and grandkids pursued and accomplished. Bob was passionate about family history and genealogy, gardening, studying the Civil War and his ancestors who served, and baseball particularly his beloved Pittsburgh Pirates. Bob had a photographic memory for nearly every major league baseball game he saw dating back to the 1930's. 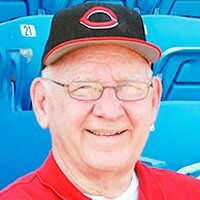 In retirement Bob worked for the Cincinnati Reds at their spring training facility in Sarasota, FL, where he served in the seating section reserved for children with disabilities and helped secure player autographs, games balls and photos for "his kids." Bob served as a member of the Board of Directors for YMCA Camp Menogyn, was a member of the Busy Bodies Tent #60 in Duluth, and was a member of St. George's Episcopal Church in St. Louis Park and All Angels Episcopal Church in Longboat Key. Bob will be most remembered for his kindness to all, silly wit, Ole & Lena and knock-knock jokes; his affection for Irish tenors, goofy operas, old time hymns and animal puppets; and, most of all, his love for family. Grandpa Mac's weekly "Message to Grandkids" are lifelong treasures. He taught us it was okay for big people to cry; how to enjoy small pleasures like feeding birds, growing morning glories, reading real newspapers and sending important clippings through the mail; how to laugh at silly jokes, Laurel and Hardy movies, and shake the pews with silent laughter in church; how to properly wave goodbye, and to treat everyone with love and compassion. He once wrote, in closing a grandkids message: "Everyone be well. Do something nice for someone, and let your family know how much you care about them. Love to you all. Grandpa." We love you, too, Dad/Grandpa Mac/Uncle Bob, and we will miss you. Visitation 10:00 a.m. and memorial service 11:00 a.m., October 6, 2017, St. George's Episcopal Church, 5224 Minnetonka Blvd., St. Louis Park, with lunch to follow. ASL interpreter provided. Memorials preferred to Boys Town (NE), YMCA Camp Menogyn, or the ACEC/MN Scholarship Fund. Bob's family offers its sincere gratitude to the staff at Ecumen Lakeshore in Duluth for their friendship and loving care during Bob's five-year stay.